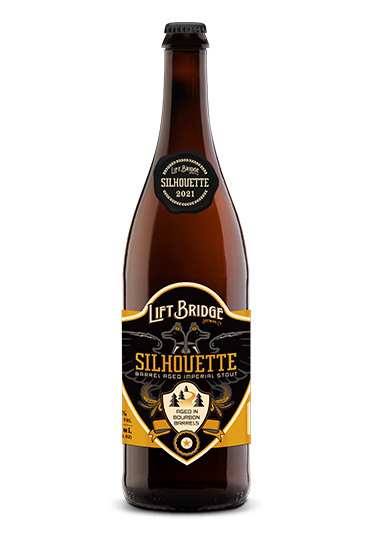 Barrel aged Silhouette is as deep and dark as the thick Northern Woods. It’s brewed in the style of an Imperial Stout. Aromas of coffee, molasses, chocolate and prune meld with an intense dark roasted character. This beer is complex, rich and full bodied. Its wild spirit will warm the senses, illuminate the soul, and grow into a traditional favorite...no matter what season.